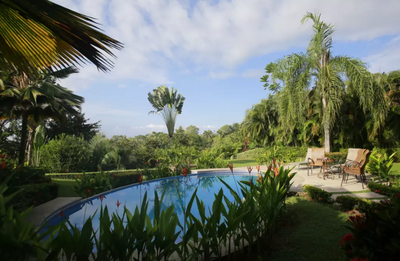 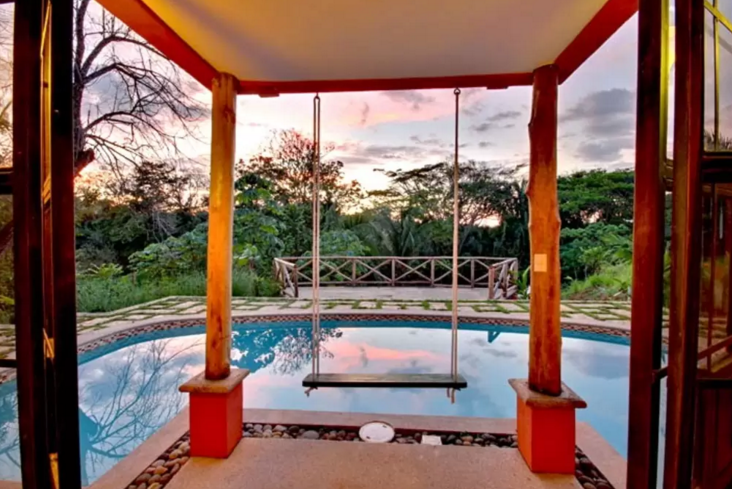 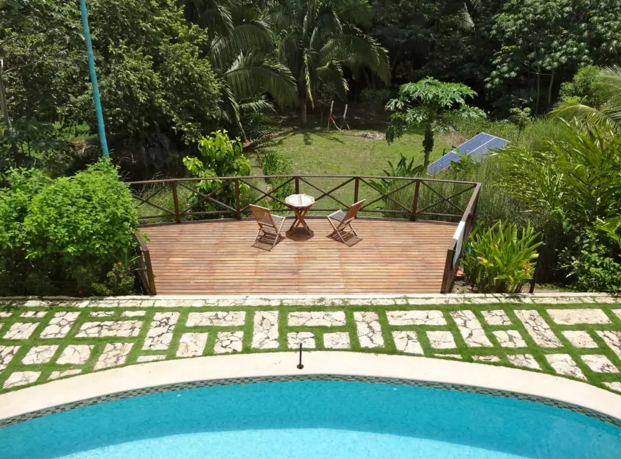 Perched on a high crest in the Del Pacifico Resort, Playa Bejuco, Esterillos Este, Villa Jardin is a spectacular, spacious villa with a beautifully landscaped garden and a private infinity pool with sweeping views of the ocean! 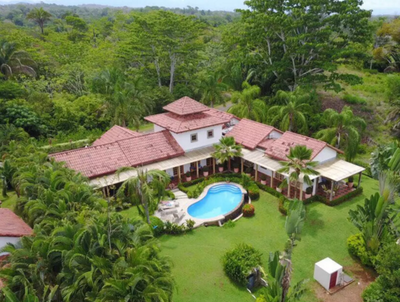 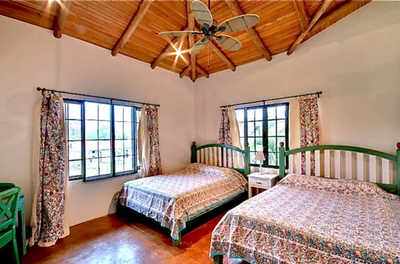 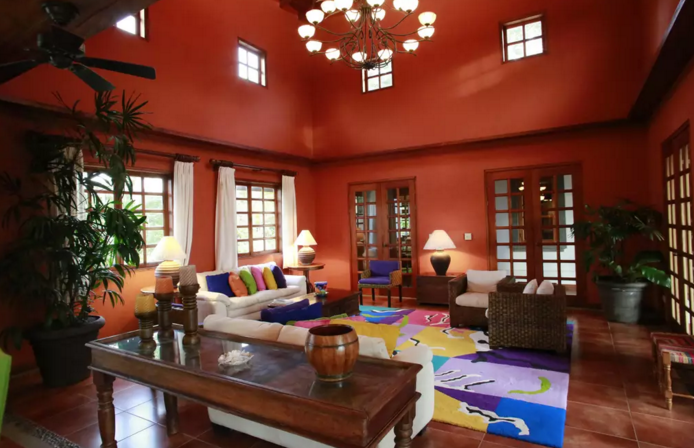 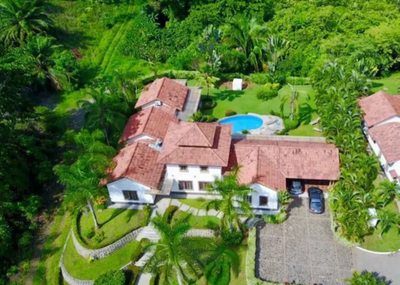 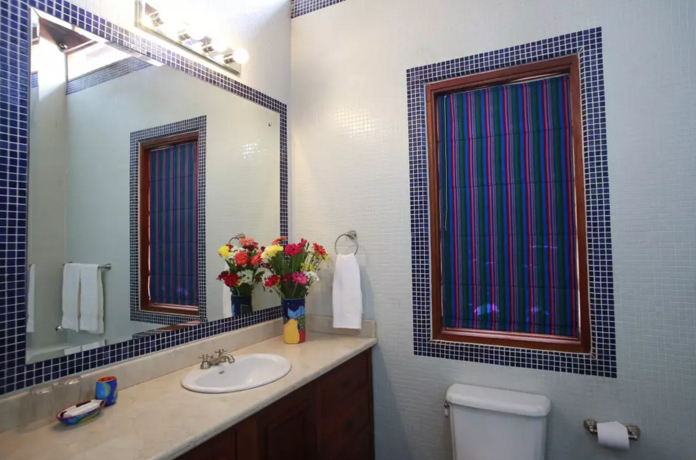 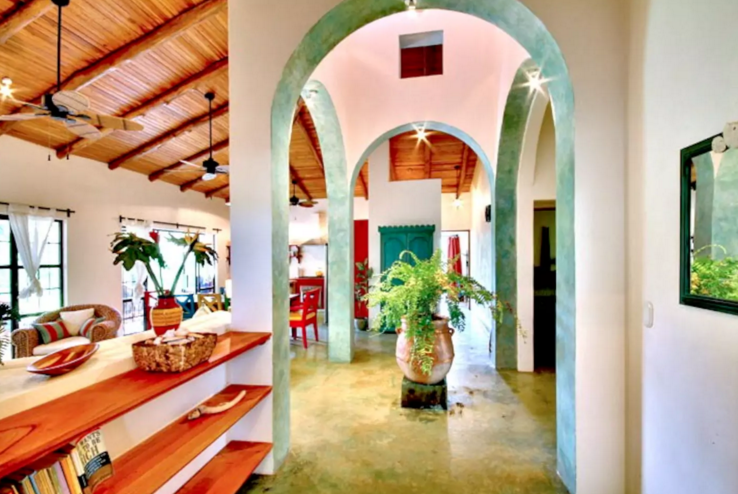 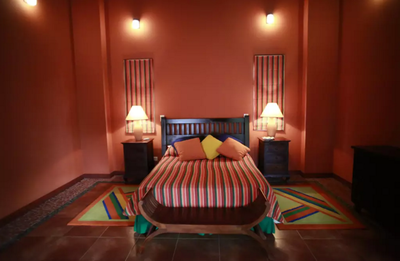 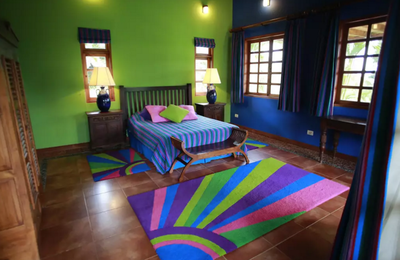 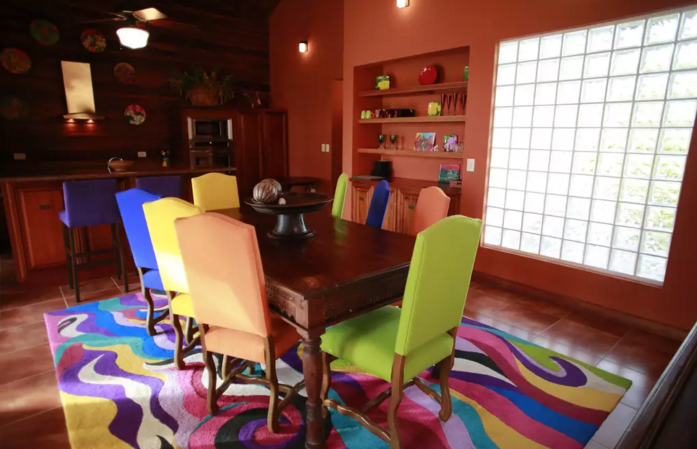 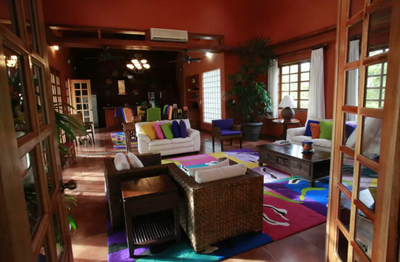 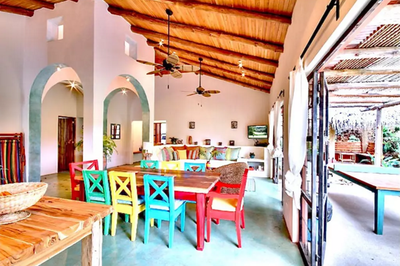 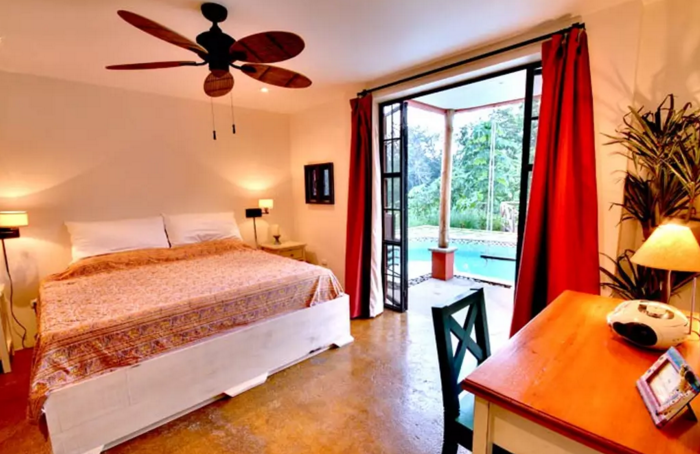 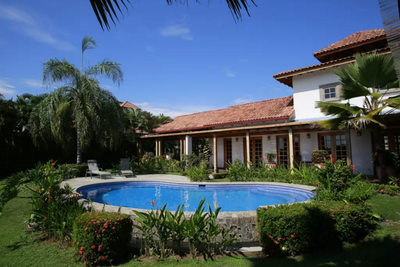 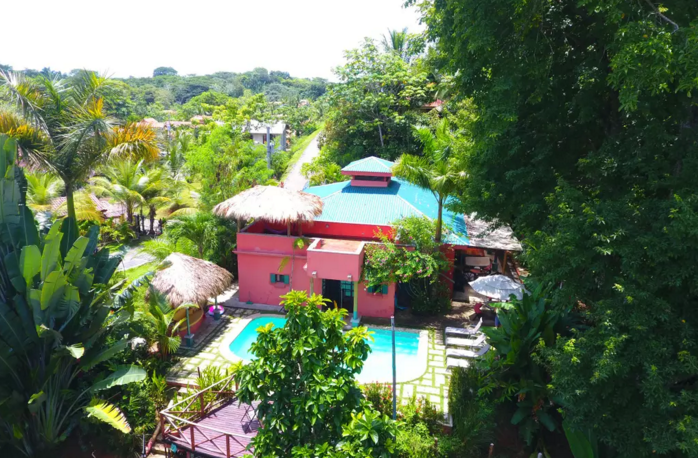 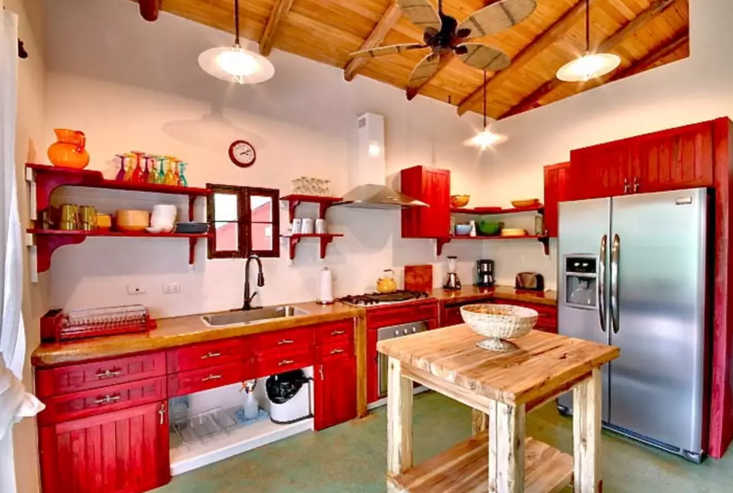 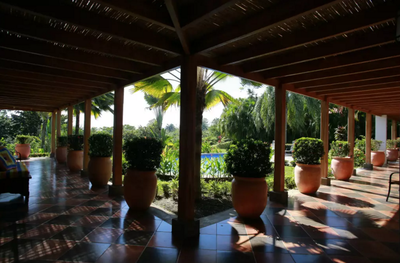 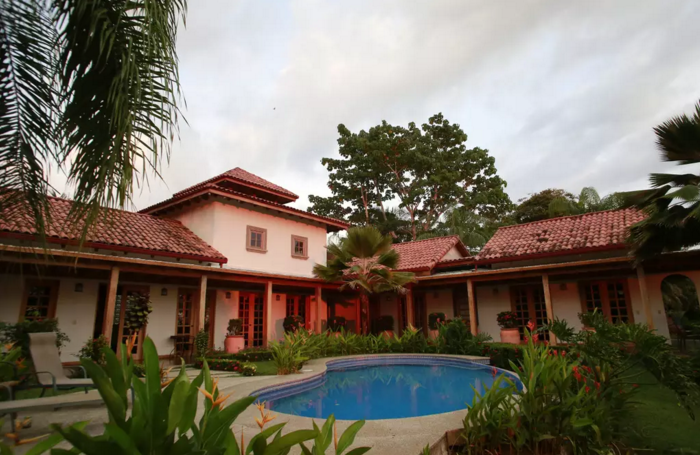 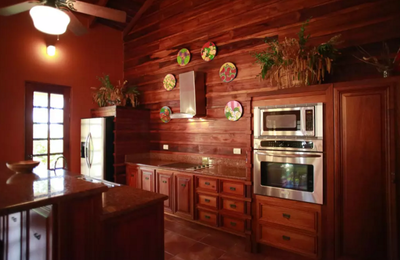 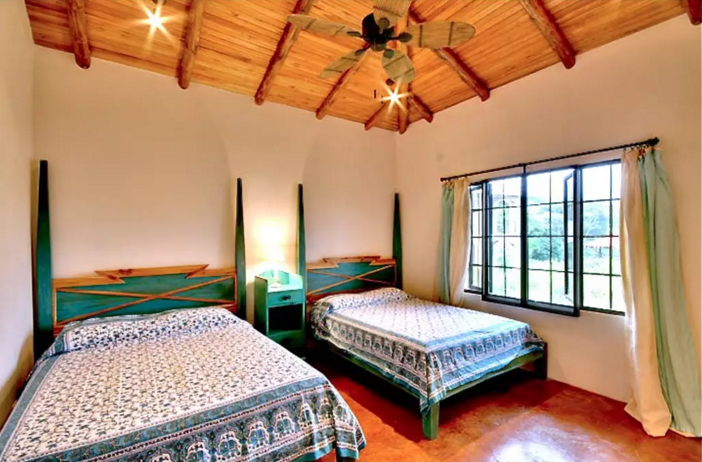 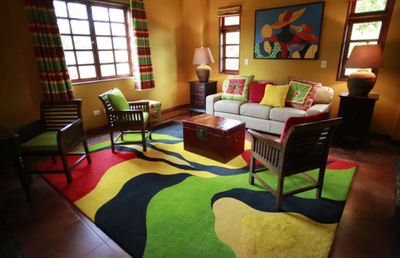 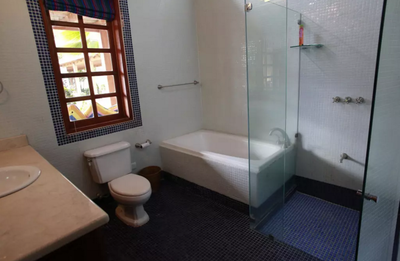 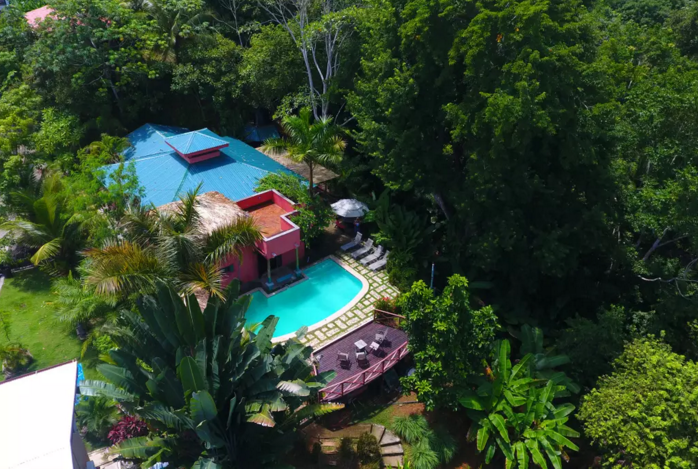 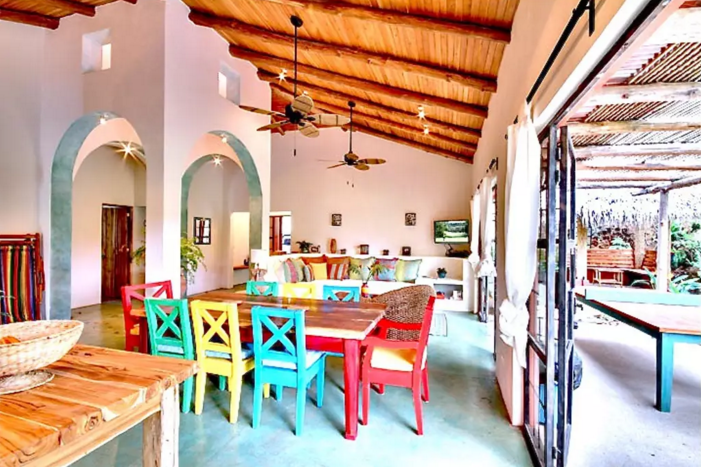 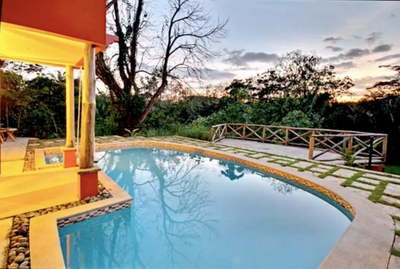 Casa Tucana is a Colorful Tropical home located on a Private Acre in a safe gated community in the popular Surfing town Esterillos Oeste. 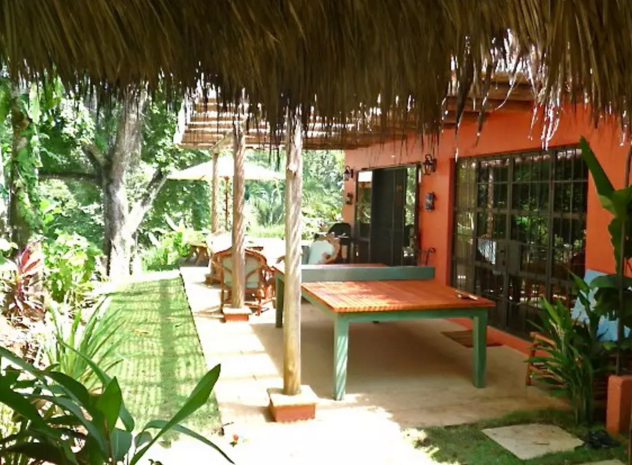 It has a Large Salt filter Pool, Ping Pong, Pool side Palapa, covered Patio, Gas BBQ, and laundry. 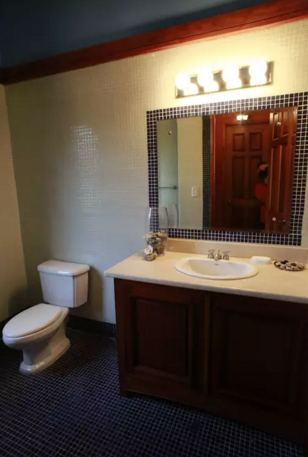 The 3 bedrooms are spacious and have AC. 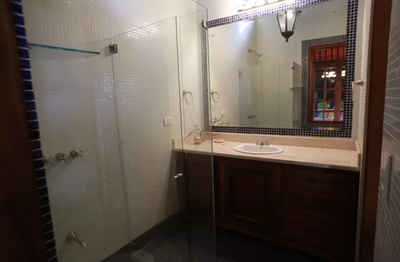 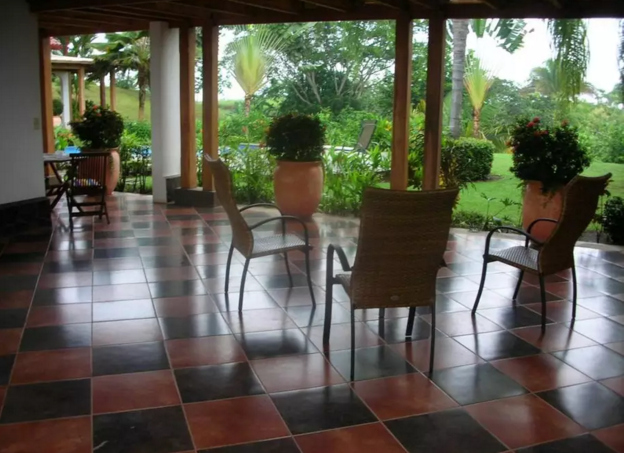 Only 750 meters to the beach making it easy to walk or drive to restaurants and super market!